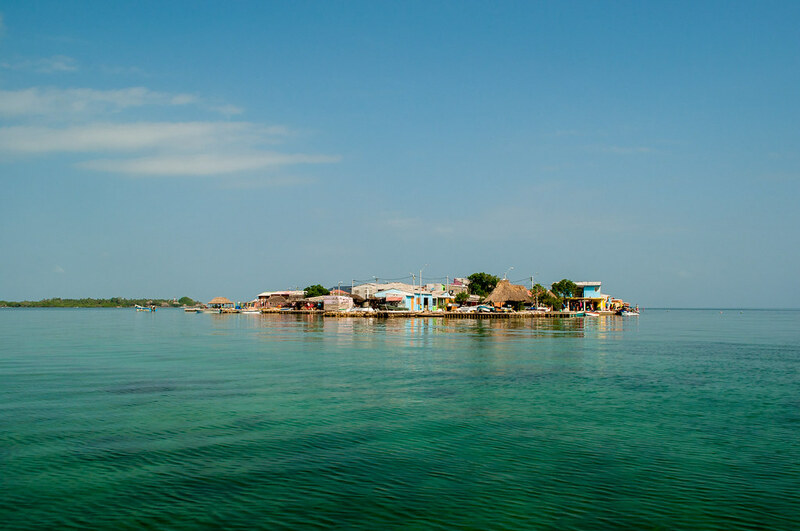 Santa Cruz del Islote is a tiny coral island, and one of the smallest, in the archipelago of San Bernardo off the coast of Colombia. It is only 2.4 acre in size, yet, it’s home to 1,200 people. That’s a population density four times that of Manhattan. But Santa Cruz del Islote is no Manhattan. There is no running water or sewage system. Electricity runs for just five hours a day from a generator, and fresh water is dropped off by the Colombian navy once every three weeks. So why do people live there?Legend has it that about 150 years ago, a group of fishermen from the coastal town of Baru, about 50 km away, were looking for new waters to fish when they stumbled upon this small coral island, sitting low in the waters. As it was too late to return, the fishermen decided to set up camp on the island for the night and were pleasantly surprised to discover that the island had no mosquitoes, a rarity in the area. The story goes that the men slept so peacefully that night that they decided to stay. 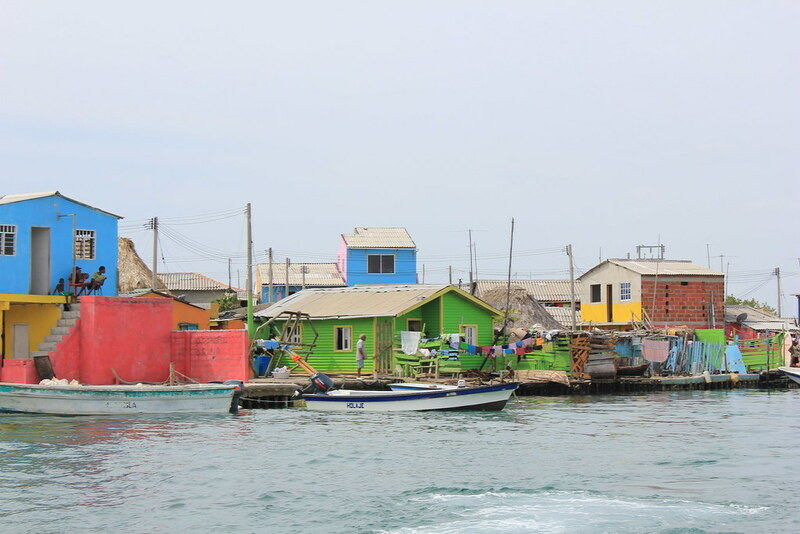 Today, the island has 90 houses, two shops, one restaurant, a disco and a school, packed within an area the size of a soccer field, and a half. It’s the most densely populated island on earth. Space is so limited that many of the structures extend onto the water, supported by artificial means. Some multi-storied structures would have eased the congestion, but houses here are all single story. The only unoccupied space is a courtyard about half the size of a tennis court, which is frequently underwater during high tides. Most of the islanders are either fishermen or staff working at hotels and resorts on nearby islands. For a long time, fishing was their only livelihood, but in recent years, fish stocks have dwindled forcing the local men to find work elsewhere. Now much of their economy depends on tourism. The nearby island of Múcura has a high-end resort and offers fishing, snorkeling or diving excursions to tourist, and many Santa Cruz residents work there. Others sell various things such as shells, crafts, and local food to the tourist. Despite the hardship, locals describe life on the island as calm and peaceful. There is no violence or crime, so doors are never locked, and even the children are described as “docile” and “better disciplined” by their school teacher. The generator is turned on at seven in the evening and until eleven there is power on the island. This is the time for soap operas on television. During big football games, people will pool their resources together to buy gasoline so that they could power the generator to watch the game on TV. Juvenal Julio, a 66-year-old diving instructor, and the great-grandson of one of the original founders of the island, calls Santa Cruz del Islote a paradise. “I will live the rest of my days here. It’s a glorious life,” he said. Like the rest of the island’s twelve hundred residents, Julio will leave only when he is dead, because the island has no room for a cemetery. Legend has it that about 150 years ago, a group of fishermen from the coastal town of Baru, about 50 km away, were looking for new waters to fish when they stumbled upon this small coral island, sitting low in the waters. As it was too late to return, the fishermen decided to set up camp on the island for the night and were pleasantly surprised to discover that the island had no mosquitoes, a rarity in the area. The story goes that the men slept so peacefully that night that they decided to stay.